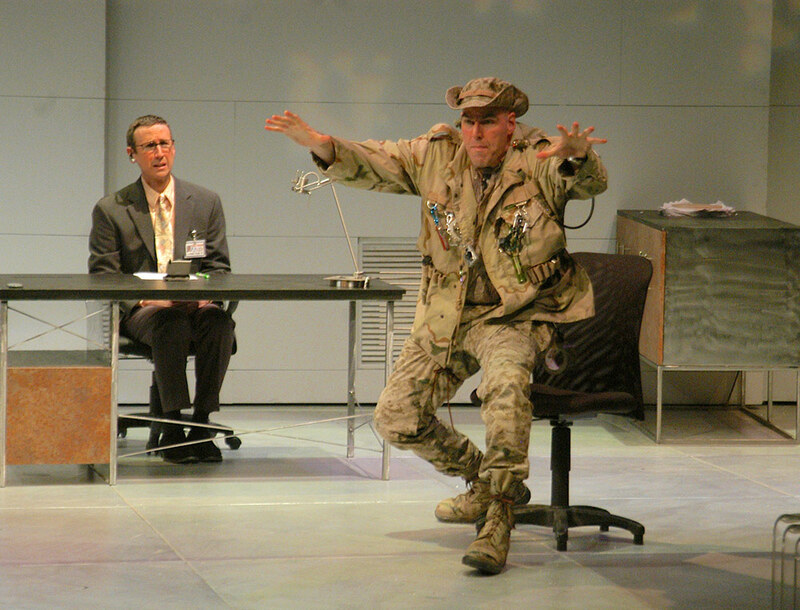 The satirical Natural Selection rang all the right bells under ATL artistic director Marc Masterson’s keen direction. The astounding Mark Mineart is Ernie Hardaway, a Rambo- type misogynist blowhard who is always accidentally injuring himself. 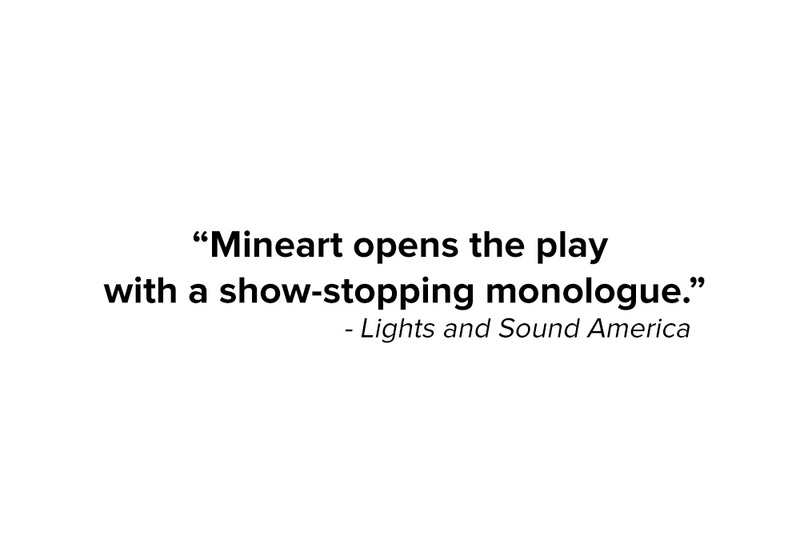 The first act takes off with an abundance of energy, humor and the dominating presence of Mark Mineart. 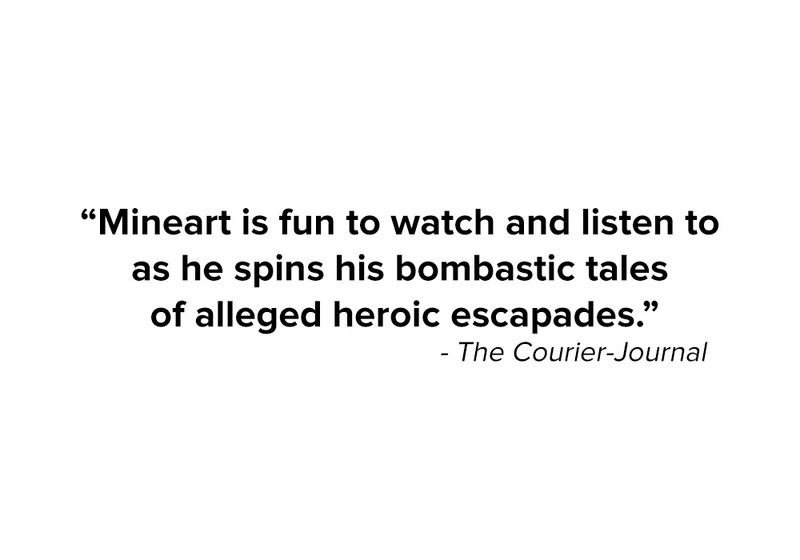 Mineart is fun to watch and listen to as he spins his bombastic tales of alleged heroic escapades. The cast is solid with an over-the-top performance by Mark Mineart as Henry's paramilitary cohort that's hard not to laugh at. 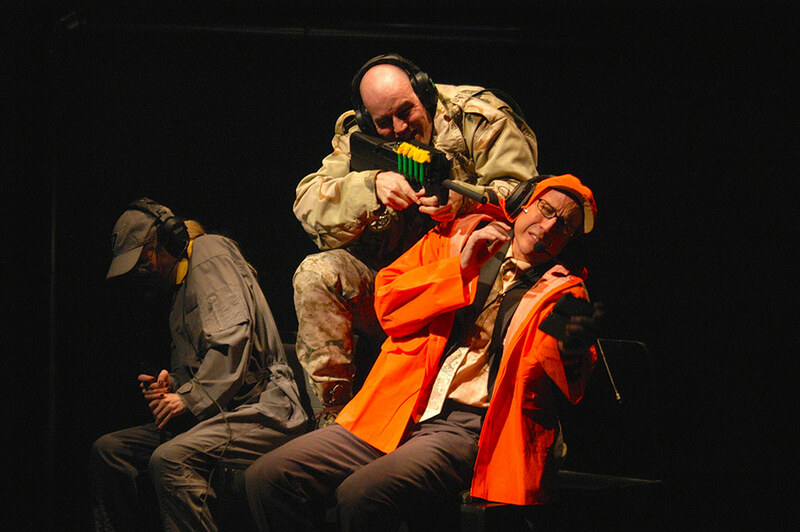 As Ernie, Mark Mineart opens the play with a show-stopping monologue detailing his bloody adventures in the wild.